Home > Home > FAQs > How do I renew my items? On the screen you will see each item you have checked out, along with the due date and the amount of remaining renewals. Check mark each item you would like to renew, and click "Renew Selected Items." 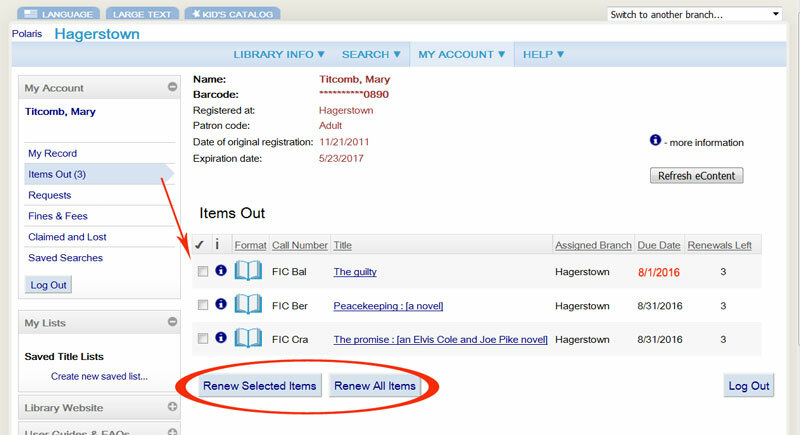 If you would like to renew all checked out items, you can just click "Renew All Items." You may also contact your local branch  to renew materials over the phone.